The Franklin Expedition has fascinated generations of Canadians. 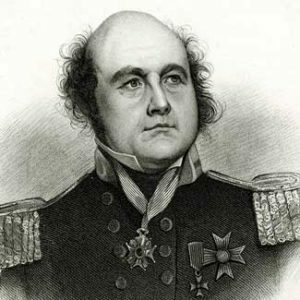 On May 19, 1845, under Sir John Franklin’s command, the Royal Navy’s HMS Erebus and HMS Terror departed England on an expedition of scientific research and the final discovery of the Northwest Passage. Last seen entering Baffin Bay in August 1845, the disappearance of the Franklin Expedition’s two ships remains one of Canada’s greatest mysteries 170 years later. A breakthrough was made in September 2014 when an expedition led by Parks Canada discovered the wreck of HMS Erebus, in the south of Victoria Island in Nunavut. A second breakthrough happened in September 2016, when HMS Terror was found in Terror Bay, further north. These expeditions brought together the Government of Canada as well as public, private and non-profit organizations. The use of state-of-the-art technology, Inuit knowledge and oral testimony made these historic discoveries possible. We are a proud supporter of the Vancouver Maritime Museum. Partnering with the museum, we’re excited to bring a special exhibit featuring the Franklin Expedition to our community office in Delta. Visit our community office in Delta to delve into one of Canada’s greatest mysteries – the search for the lost Franklin Expedition. The Franklin Exploration pop-up display explores the latest discoveries and research relating to the Sir John Franklin Expedition through text, images, and dynamic digital components. Saturdays, 10:00 a.m. to 4:00 p.m.
Join Vancouver Maritime Museum’s Programs Coordinator, Talya Mallek (B.A., M.Ed. ), for a free presentation on the Franklin Expedition, the modern-day discoveries of the HMS Erebus and HMS Terror, and what it means to find this lost piece of Canadian history. View and handle reproductions of artifacts rescued from Sir John Franklin’s HMS Erebus. Examine an illuminator, a Blue Willow Pattern plate, and a small 3D replica of the HMS Erebus bell, and try your hands at writing underwater like a Parks Canada diver!